Washoe County & Keep Truckee Meadows Beautiful team up for community recycling. Cost: $3 suggested donation to help cover the cost of the program. Details: This program is for residents only, commercial tree lots can take their trees to RT Donovan in Sparks. Trees must be free of stands, nails, tinsel, lights, and all other decorations. Flocked trees cannot be accepted. Volunteer: Volunteers are still needed to help at the Bartley, Rancho and Shadow Mountain locations. Sign up to volunteer today. Since 2003, more than 129,000 trees have been recycled through the Christmas Tree Recycling program thanks to the help of thousands of volunteers and our many partners with Keep Truckee Meadows Beautiful. 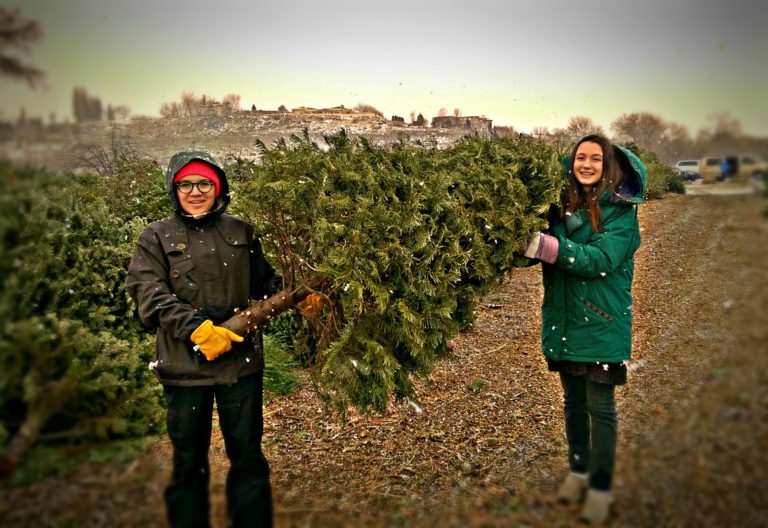 The Christmas Tree Recycling Program provides community residents with an easy alternative to dumping trees in the landfill or, as is sometimes seen, in the open spaces. Trees are chipped into mulch that is used for park and weed abatement projects and is available for free to area residents at the Bartley Ranch and Rancho San Rafael drop-off sites. Christmas Tree Recycling is sponsored by the NV Energy Foundation and is offered in partnership with the City of Reno, City of Sparks, Nevada Division of Forestry, Truckee Meadows Fire Protection District, Tholl Fence, and Washoe County.